“The adoption of dual-interface chip technology will help prepare the US payment infrastructure for the arrival of NFC-based mobile payments by building the necessary infrastructure to accept and process chip transactions that support either a signature or PIN at the point of sale,” says the payments giant. 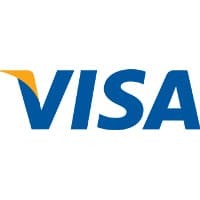 Visa has released plans to accelerate the migration from magnetic stripe cards to EMV contact and contactless chip technology in the United States. Expand the Technology Innovation Program to US merchants. From 1 October 2012, Visa will expand its Technology Innovation Program (TIP) to the US. TIP will eliminate the costly requirement for eligible merchants to annually validate their compliance with the PCI Data Security Standard (PCI DSS) for any year in which at least 75% of the merchant’s Visa transactions originate from chip-enabled terminals. To qualify, terminals must be enabled to support both contact and contactless chip acceptance, including mobile contactless payments based on NFC technology. Build processing infrastructure for chip acceptance. Visa will require US acquirer processors and sub-processor service providers to be able to support merchant acceptance of chip transactions by no later than 1 April 2013. Chip acceptance will require service providers to be able to carry and process additional data that is included in chip transactions, including the cryptographic message that makes each transaction unique. Establish a counterfeit fraud liability shift. Visa intends to institute a US liability shift for domestic and cross-border counterfeit card-present point-of-sale transactions, effective 1 October 2015. Currently, says Visa, POS counterfeit fraud is largely absorbed by card issuers. With the liability shift, if a contact chip card is presented to a merchant that has not adopted, at minimum, contact chip terminals, liability for counterfeit fraud may shift to the merchant’s acquirer. “The liability shift encourages chip adoption since any chip-on-chip transaction (chip card read by a chip terminal) provides the dynamic authentication data that helps to better protect all parties,” Visa explains. “The US is the only country in the world that has not committed to either a domestic or cross-border liability shift associated with chip payments.” Fuel-selling merchants will have an additional two years before a liability shift takes effect for transactions generated from automated fuel dispensers. “The adoption of dual-interface chip technology will help prepare the US payment infrastructure for the arrival of NFC-based mobile payments by building the necessary infrastructure to accept and process chip transactions that support either a signature or PIN at the point of sale,” says Visa. As well as providing support for the shift to NFC mobile payments, Visa says the move is also designed to reduce fraud through the use of dynamic authentication. Globally, Visa will continue to support a range of cardholder verification methods including signature, PIN and no-signature for low-value, low-risk transactions. In the longer term, Visa says it expects that the use of static verification methods such as signature and PIN will be reduced or eliminated entirely as new and dynamic forms of cardholder verification are implemented.